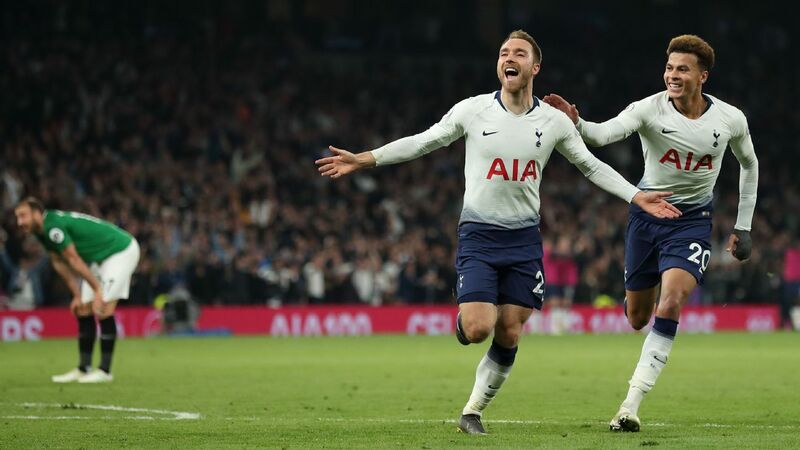 Mauricio Pochettino says Harry Winks could be as influential for England as Xavi and Andres Iniesta have been for Spain if he can learn to play through pain in his ankle. Tottenham's 22-year-old midfielder underwent surgery in the summer and has only made three brief substitute appearances so far this season. But he could soon return to Spurs' starting line-up and, while Pochettino is wary of overhyping the youngster, he believes he could be a key figure for club and country. "Harry has the profile of the midfield player perfect," said the Tottenham manager. "But I don't want to talk and praise his quality too much because if so his head [grows big]. His perception will be 'wow' and the reality is you still need to prove [yourself]. "The characteristics are perfect to play football. When we talk about midfielders, because you like to use Spanish midfielders like Xavi and Iniesta, he's like this type of player, this capacity. "But please, he needs to take in a very positive way my words. He needs a lot of work. He has the possibility and the potential but now it is up to him and we go again: mentality. "In his mind, he is capable to learn to suffer, that there never is enough training, to always try to be better, [to learn that] football is his focus, not business that is around football. "Maybe [if he learns this] he will arrive to play in a very good level and be one of the best midfielders in England. It is not my advice, it is only how I describe the reality. If he wants to take it, take it. "But of course his potential is to be a very, very good player for England and Tottenham -- first for Tottenham and then, if England believe that he can help them, for England too." Pochettino has revealed that Winks will never be entirely pain-free after the ankle injury he sustained against Crystal Palace last November, but he has told the youngster that every player has to overcome the same mental challenge at some stage. "If you ask all the players today, it is impossible to play without pain in some point of your body, because you use your body for work," said the Argentinian. "It's not a normal body because you push it from a very young age. It's not a healthy sport, it's a professional sport, and you always try to push your body and touch the limits, or cross them sometimes. "For him, it was new. He had an injury and an operation last summer and of course that is something that will always be there. The psychology is that you have suffered and are not free. "You need to learn to live with this situation, and he is now much better and stronger in his mentality. I'm sure he will move on and make a step up. It's only time to get to his best for the team."